State Duma members from the Liberal Democratic Party of Russia (LDPR) have proposed introducing fines for excessive use of loanwords. The government and the general public have dismissed the initiative as useless. Russian MPs, concerned about the purity of the Russian language, have submitted to the State Duma a bill on fines for excessive use of words borrowed from other languages, or loanwords. The deputies are primarily concerned by the abundance of English words in Russian, made all the more widespread thanks to the internet, modern technologies and fashionable trends. The State Duma is scheduled to discuss the bill on July 1, but it has created quite a stir already. The bill is the brainchild of a group of Liberal Democratic Party of Russia (LDPR) deputies. They believe that not only should foreign words which have equivalents in Russian be banned, but the use of such words should be punishable with a fine. If the bill is passed into law and becomes part of the Russian Code of Administrative Violations, the following fines will be introduced for using foreign words: for private individuals, from 2,000 to 2,500 rubles ($50-70); for officials, from 4,000 to 5,000 rubles ($110-150); and for legal entities, from 40,000 to 50,000 rubles ($1,160-$1,460). The bill has provoked a wave of comments both from members of the general public and from its authors' fellow MPs. In an interview with the ITAR-TASS news agency, the deputy head of the State Duma culture committee, film director Vladimir Bortko pointed out that this was not the first time a similar proposal had been put forward. "The French were the first here, as they were concerned by the spread of English words and the disappearance of the great French language. So the initiative not to overuse foreign words is absolutely correct." At the same time, Bortko warned against going over the top, as there are borrowed foreign words that have already become an integral part of the Russian language. Take, for instance, the word “manager” and its original Russian equivalent ("управляющий"), which now mean two different posts. In fact, it is not quite clear the use of which specific words the LDPR proposes considering "excessive," as in the name of the Liberal Democratic Party itself, all the words are long-established borrowings from other languages. The same goes for quite a few English words, e.g. "компьютер" (computer), “футбол” (soccer), “принтер” (printer), “видео”(video), which it would be hard to replace with any Russian equivalents. Let alone such old borrowings from the French as "бульон" (bouillon) and "буржуа" (bourgeois), from the German "генерал" (general) and "фляжка" (flasche), as well as from English "баржа" (barge), "бот" (boat) and "шхуна" (schooner). The authors of the bill are concerned most of all by the use of foreign words by the media, teachers, and writers. This is not the first time that these social groups have been specifically targeted by parliamentarians' efforts. In May this year, a law was passed banning swearing on TV and radio, as well as in films and public performances. However, this time round the LDPR's anxiety to preserve the so-called purity of the Russian language has failed to find a sympathetic response in the government. The state law department of the Russian presidential administration has concluded that rules regulating the use of the Russian language are sufficiently presented in the law on the state language of the Russian Federation and do not need to be further expanded. 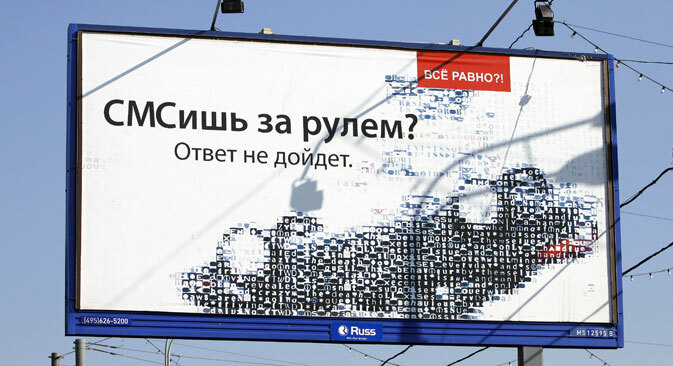 "A state-sponsored campaign for the purity of the language is a sign of a certain ideological idealism, an attempt to impose an ideal language that reflects the principles of the state," says Yevgenia Basovskaya, head of the school of journalism at the Russian State University for the Humanities and author of the book Soviet Press for the Purity of the Language.Besides, bans usually have only a short-term effect, she adds. Efforts to purge Russian of foreign words began very soon after the modern Russian language came into existence. Attempts to replace borrowed words with Russian equivalents were made in the 18th century by the founder of Moscow State University Mikhail Lomonosov; the compiler of the famous "Explanatory Dictionary of the Living Great Russian Language", Vladimir Dal, and even Tsar Peter the Great, who ironically ended up bringing in more foreign words into Russian than replacing them with Russian equivalents. Another reformer of the Russian language, a 19th century education minister, Alexander Shishkov, came up with a list of equivalents for foreign borrowings, some of which his contemporaries found rather comical. The great Russian poet, Alexander Pushkin, in his famous novel in verse Eugene Onegin, pokes fun at Shishkov's efforts: Having used the French, comme il faut, he adds: "Shishkov, forgive! I can't translate the adjective." Russian history and culture have traditionally been dominated by two conflicting ideologies: that of Slavophiles and Westernizers, with prominent thinkers and writers on both sides. While the former advocated an independent path for Russia's development, free from the West and its influence, the latter argued that there was no need for Russia to reinvent the wheel as it could follow foreign trends. Among other things, their debates covered the use of loanwords in Russian. Interestingly, ideas of these two opposing camps very much remain relevant today and continue to generate public discussion. Author Alexander Solzhenitsyn was an ardent proponent of the Slavophile cause and spent many years working on an expansion of the Russian dictionary, in which he listed obsolete, lost, forgotten, and often quite inconceivable Russian words. Meanwhile, back in the Soviet Russia of the 1930s, the main campaigner for the purity of the language was the author Maxim Gorky, who published an article called "On the Language", criticizing the use of vulgar and provincial words. In this way, according to Yevgenia Basovskaya, a government that had declared itself to be a government of the people rejected popular culture. "The next phase in the linguistic purge campaign came towards the end of Stalin's rule, when the Soviet state was fighting for national purity and trying to revive many values and symbols of the Russian empire," explains Basovskaya. Back then, the campaign was targeted specifically against foreign influence and words. The last Soviet phase in the fight for the language came in the 1960s, Basovskaya continues, when the main figure of that campaign was a famous Soviet poet, journalist, and literary critic, Korney Chukovsky, who fought against a growing spread of officialese and bureaucratese, for which he even invented a special term – "канцелярит" (kantselyarit).